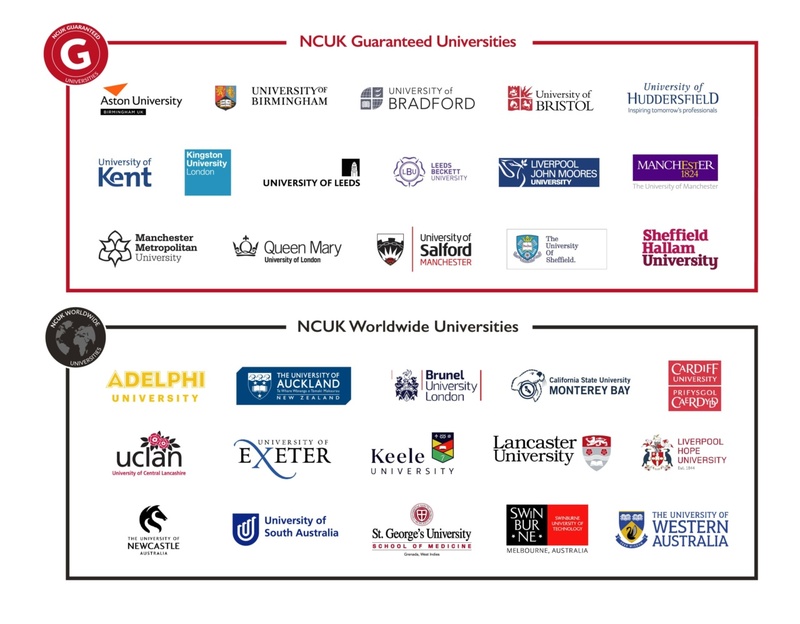 NCUK is unique in UK higher education. We are a consortium of leading UK universities dedicated to giving international students guaranteed access to universities worldwide and helping you succeed when you get there. NCUK is an international higher education qualification provider operating in 25 countries, with 65 Study Centres, on 4 continents. Our qualifications are recognised by our own universities and by most others across the UK, including many in the Russell Group, and also by universities internationally. And far more than other qualifications, they prepare you to hit the ground running. NCUK always acts in your best interests, helping you realise your dreams and ambitions, both at university and afterwards, in your life and career. Whether you’re looking for a place as an undergraduate or a postgraduate, our qualifications and guaranteed access are the best there are. They are designed in collaboration with our universities, and combine high academic standards, with language, study, social and cultural skills. You can study in your own country or at one of our study centres in the UK and Europe, taught by quality assured partners whose standards are as high as our own. And our qualifications are backed by fantastic levels of service and support, and an outstanding 30-year track record. We’ve helped tens of thousands of international students gain guaranteed access to leading UK universities, choosing from thousands of different courses, and earning good undergraduate and postgraduate degrees in a huge range of subjects. NCUK is here to make sure that you get in and get on. We’ll help you find your perfect place in a UK university. NCUK – Your best route to university.